Home / Contests • Featured / Contest Time! 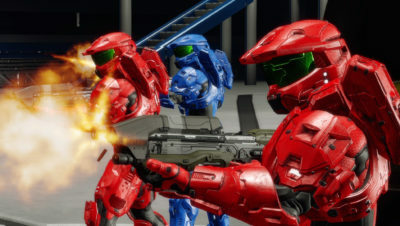 Win Red Vs. Blue: The Shisno Paradox on Blu-ray! The Soldiers Of The Future Battle It Out On Blu-ray Jan 1st! Contest Time! 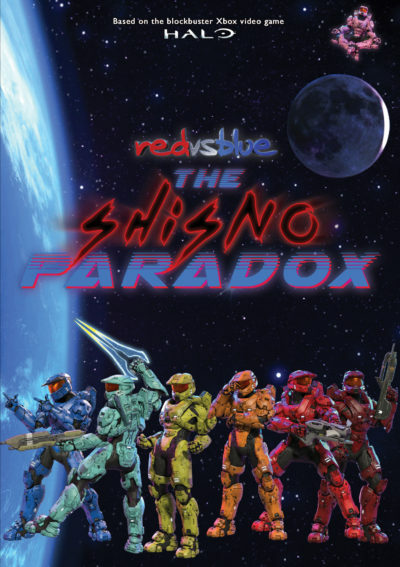 Win Red Vs. Blue: The Shisno Paradox on Blu-ray! The Soldiers Of The Future Battle It Out On Blu-ray Jan 1st! 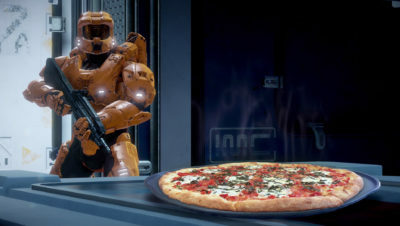 If you’re a sci-fi fan or a movie lover, you should check out Red Vs. Blue: The Shisno Paradox. It’s coming to DVD and Blu-ray in January and from the little I’ve seen, it’s worth a look. If you haven’t heard of it, you’re in luck because… We have a giveaway! Can you say awesome? 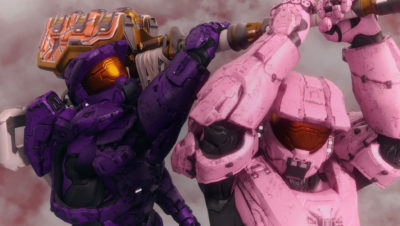 “The passionate fan base of Red vs Blue is one of the main reasons why it is the longest running web-series on the internet,” said Joe Nicolosi, Director of Red vs Blue. How awesome is all that right? Soooooooooo…. I know you want to win! TV Heartbeat Interview! Catching up with The Librarians at NYCC! Rebecca Romijn! Christian Kane! Contest Time! Should Billy Shave His Beard! Vote YAY Or NEY And Win The Lego Movie On Blu-Ray Combo Pack! Contest Time! Win Eli Roth’s The Green Inferno On Blu-ray! A New Horror Cult Classic Comes Home January 5th! Contest Time! Win All The Way Starring Bryan Cranston In His Emmy Nominated Role! Out September 6 On DVD! Its the first ever series ive seen based on halo,a totally cool game in itself,a movie on it has got to be fantastic. I think the action will be the most awesome in this! It just looks weird and fun. I think the action scenes are going to be awesome. It would definitely be the action.